Look who just won a mobile battery charger at the Bauer Redesign Launch Party! Look who won one of five Bauer mobile chargers! More drawings later … Be here! Party in The Ticker begins at 2:30 p.m. today. Join us for fun, prizes and of course, cake. Like free t-shirts and giveaways? 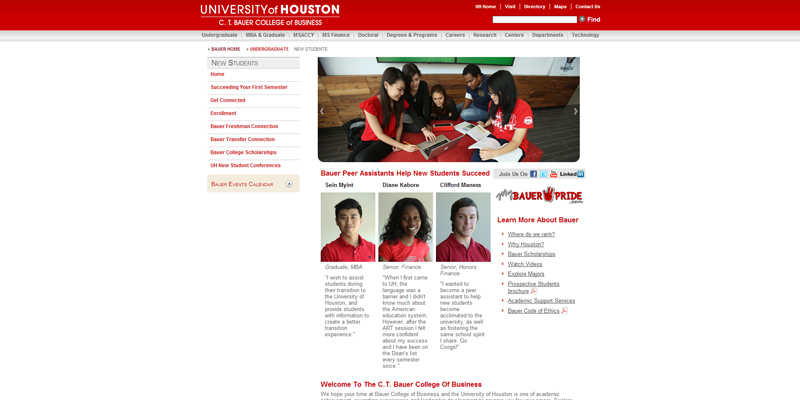 The original bauer.uh.edu website homepage that was first launched in 2008. 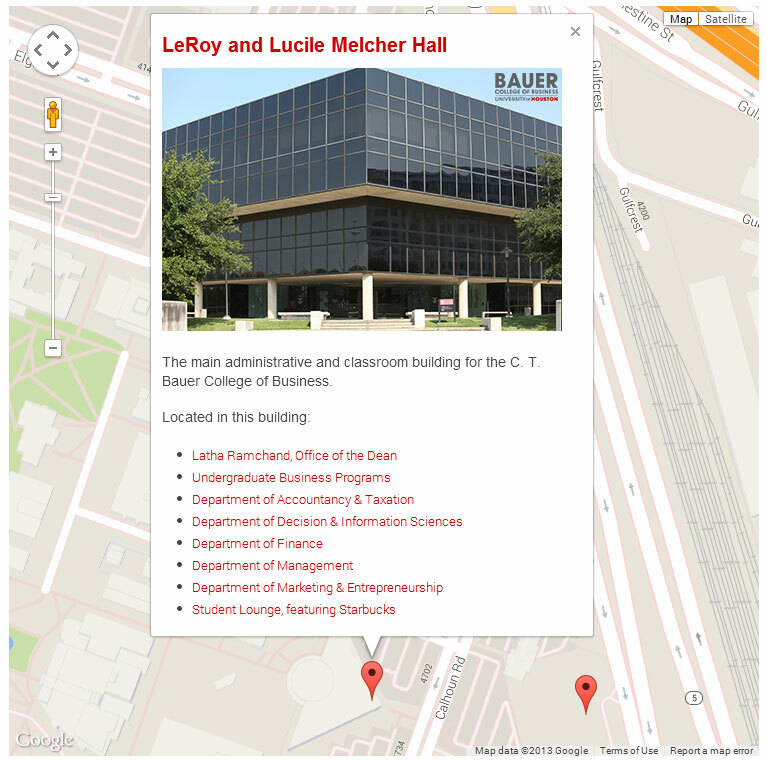 The new bauer website, the first slide links to our Redesign section that details our team’s work on the project. My involvement with the bauer.uh.edu website redesign project began before I was hired as the new web developer at the college back in late March. It started with an assignment that was part of the hiring process. The assignment was to design a subsite of the bauer.uh.edu website (specifically, the UH Global Energy Management Institute site) using a screenshot of the new design for the homepage. 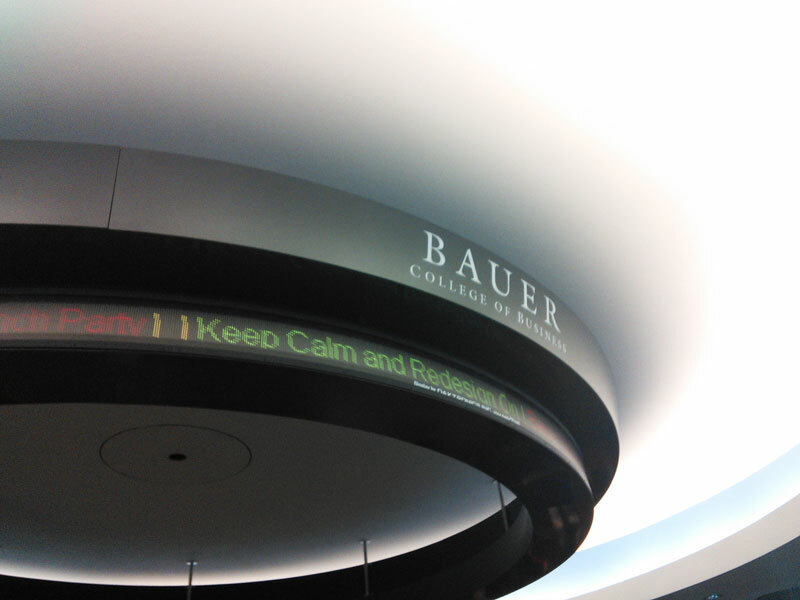 The main design framework of the new Bauer website’s homepage was finalized before I began working at the college. My approach to a new Bauer subsite after only seeing the screenshot above. Full circle: The actual UH GEMI website as it launched today. During the interview I learned that the new website was actually being built using Zurb’s Foundation, another responsive framework similar to Bootstrap. In April, after a week of getting acclimated to the new job, I began working in earnest with director of communications Jessica Navarro, lead college web developer Marla Molony and communications coordinator Amanda Sebesta to migrate all of the existing content that needed to be migrated into the new responsive redesign template. We wanted to be finished by the end of May so we could spend at least two months in the summer testing the new website with usability tests, focus groups and online surveys for the various audiences. To support this effort, which included an email campaign, I was tasked with creating the Redesign subsite. It should also be noted here that former Bauer web developer Jesse Perez was instrumental in starting the redesign project back in October 2012. Most of the PHP-based template incorporating Foundation and jQuery was success that we inherited from him. It was a tough deadline to meet the end-of-May deadline after two full months of migration, as the college website consists of more than 50 subsites and about 800 main pages of content — but we did it. Getting the content shoveling done with two months to spare really helped us free up time for troubleshooting and improving the site before its launch — I was even able to dedicate five whole days to looking for broken links using various tools like Dreamweaver and Google Developer Tools and fix them. As we presented the new website to our audiences, their feedback allowed us to realize a few weaknesses that we were then able to strengthen before launch. Now, fully responsive, with text reading well on mobile phones and tablets. More consistent subsite navigation. In the previous website, links in the left main navigation of each subsite would sometimes take people to another subsite all together. With the launch of the new site, we tried our best to limit these confusing navigation patterns and in the process, simplified a very complex website. A better top navigation sitewide with three levels of hierarchy. What I like most about it is how the Academics section displays four distinct categories: Programs, Departments, Centers and Advising – and each of the first three categories then display their distinct subcategories in a manner that helps the new student understand the basic structure of the college. The first-ever XML sitemap for Bauer informs Google and other search engines about our page structure. I’m proud of the following two subsites which, among others, I migrated during the redesign process. 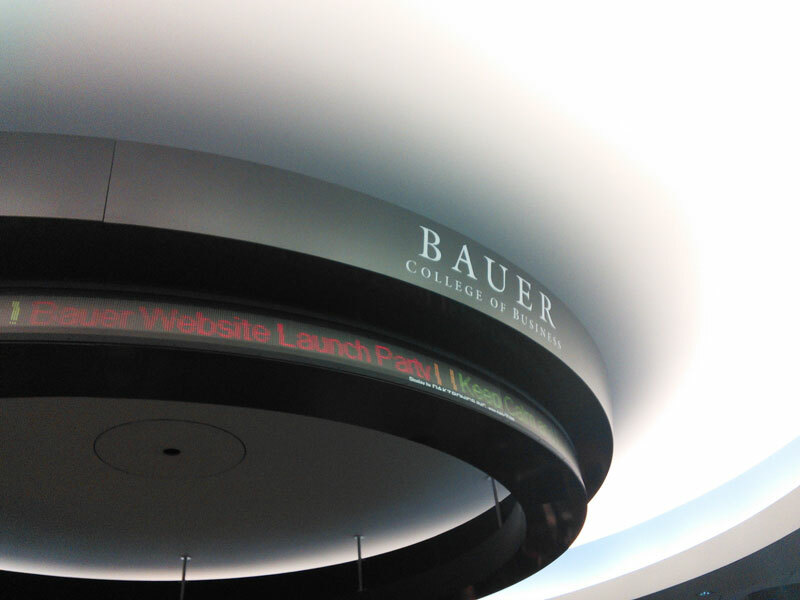 The new Undergraduate subsite is among more than 50 subsites that launched today with the new redesigned Bauer website. The new News Center also launched today. It includes a new page focused on Social Media. 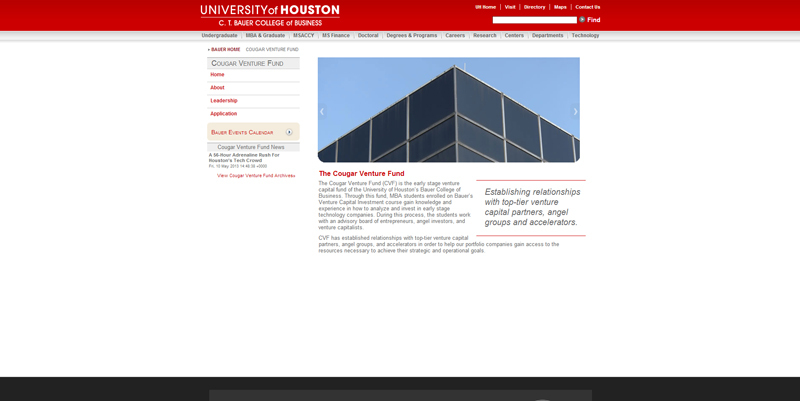 Today, the new site for the Cougar Venture Fund launched – a subsite of the Bauer College’s website designed for an audience of prospective students and the greater venture investment community to encourage participation in a unique class that will manage investor money. Here’s a screenshot of what the new site looked like at launch. 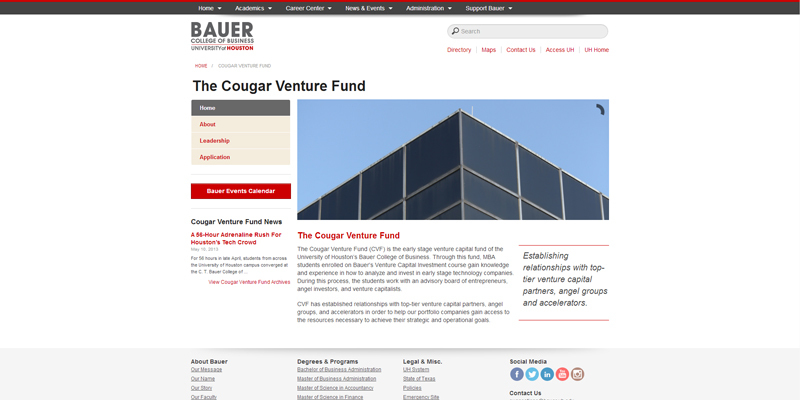 As part of the launch of the new Bauer website redesign, this Cougar Venture Fund site was redesigned in the new template, too. 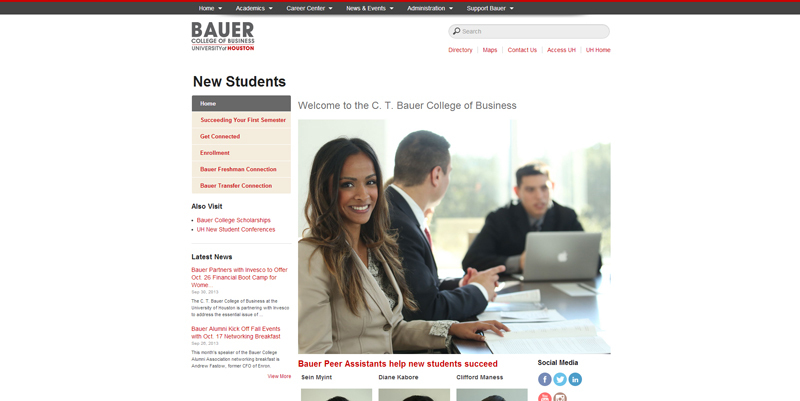 Today, the new site for New Students launched – a subsite of the Bauer College’s website designed for an audience of new undergraduate students who are invited to attend orientation sessions and other resources to get off to a successful start. 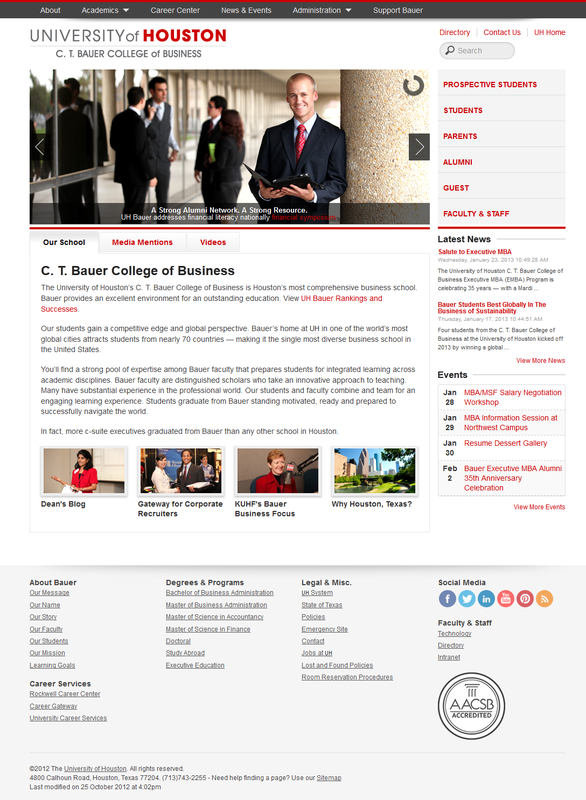 As part of the launch of the new Bauer website redesign, this New Students site was redesigned in the new template, too. 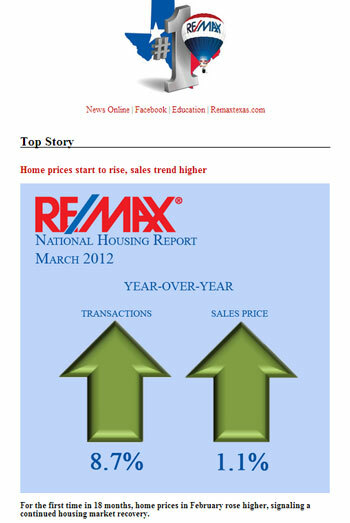 Today, I sent the RE/MAX of Texas eNewsletter to the statewide real estate network using a new responsive template that I customized. The eNewsletter now looks great on any device it is viewed on, in any email client, thanks to an open source template created by Sean Powell, The Engage Group that I found and customized for RE/MAX of Texas. The template I developed is based on the HTML Email Boilerplate v. 0.5 which is based on many open source templates, particularly those created by MailChimp on GitHub. The template was designed to incorporate many of the design elements that were used in the previous RE/MAX of Texas email newsletter template. This new approach to email design for RE/MAX of Texas came two weeks after RE/MAX, LLC unveiled the new RE/MAX Mobile App suite for iPhone and Android at the RE/MAX R4 Convention in Las Vegas, as discussed in the previous newsletter issue. Today, I launched the new website for Holloway Law, owned by Patricia Holloway, a local firm serving the tri-county area of Montgomery, Harris and Fort Bend. It’s simple three-page presentation — with a contact form front and center on the homepage — makes for a clear website that gets its point across quickly.